The L-29 Delfin is a simple, robust Jet Trainer with a remarkable safety record. It was the jet trainer of the East and operated by 15 Warsaw Pact countries. Also, it is the “father” of the MiGFlug standard jet, the L-39 Albatros. The Aero L-29 Delfin s/n 39 4645 took its first flight on March 16th 1972 and was delivered to USSR a week later. It was operated by the Lipeck Flying Training Centre (DOSAAF SSSR) until its final flight on October 9th 1991, totalling 7111 flights in 2821,06 hours. In May 2011 the aircraft was inspected and transported to an overhaul facility in Estonia. 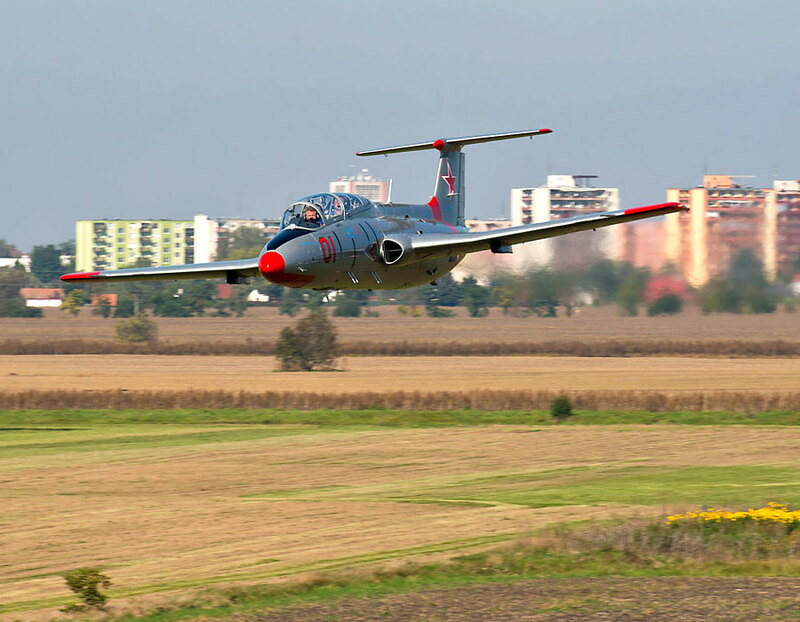 The first test flight took place on October 11th 2013 and after completing the overhaul the aircraft was flown to Slovakia on February 18th 2014 where it’s now operated by former military pilots. The L-29 Delfin type designation is derived from the date when the technical criteria were discussed – September 29th 1954. And virtually all of its design criteria is simple and straightforward. Manual flight controls, large flaps and other aerodynamic features offer a stable and readable flight. The original plans for an axial M-701 engine were replaced with a simpler centrifugal design to meet the requirement for operating from grass, sand and other unpaved fields. All of these helped to reach a notable safety record. 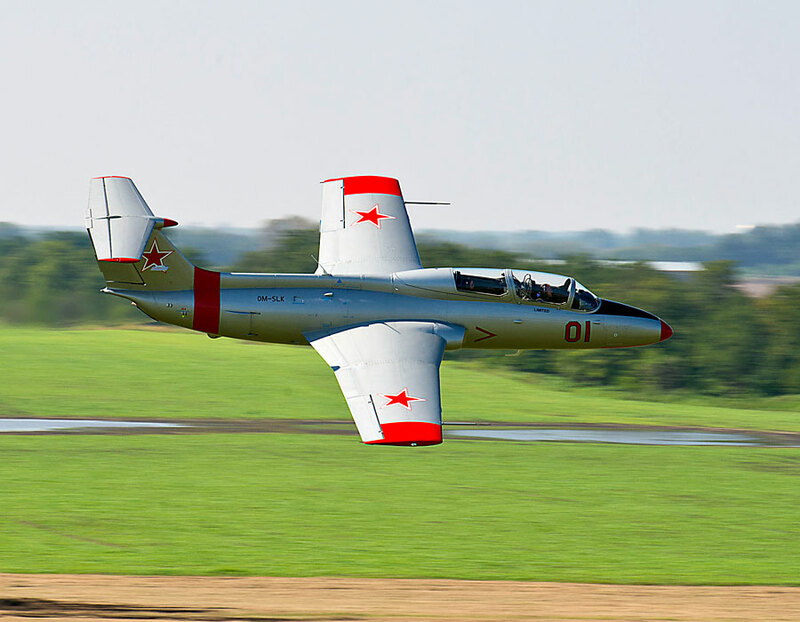 Although not used for military training anymore, the L-29 Delfin is still popular with civil operators around the world, from personal flying to airshows and competitions such as Reno air race. Compared to the L-39 Albatros, the L-29 Delfin is inferior when it comes to engine power and visibility from the back seat. Also, most customers see the L-39 Albatros as more attractive due to its modern shape. However, with the L-29 Delfin, we offer a jet flight at a very attractive price level. For the price sensitive customer who wants to have a jet flight experience, the L-29 Delfin is a very good choice. 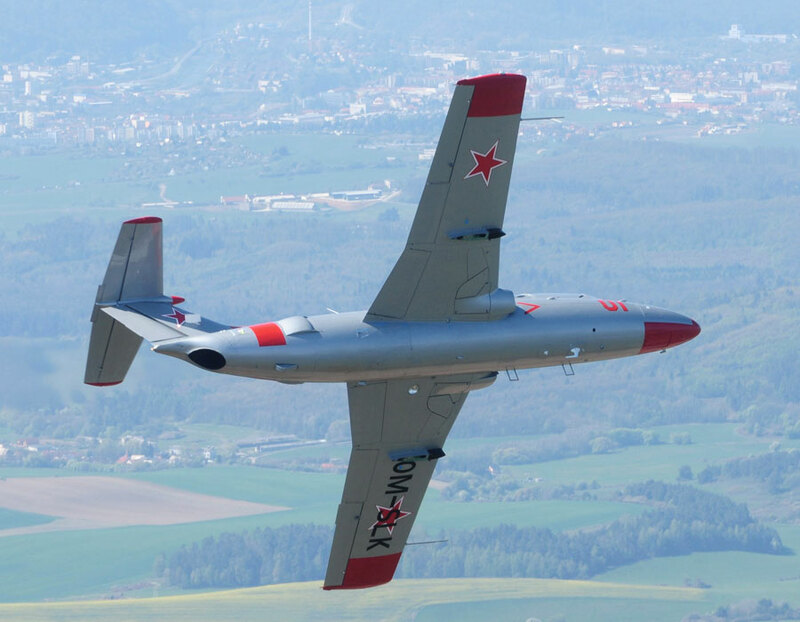 The flight program is comparable to the one of the L-39 Albatros. Incredible value for money! This flight is worth every penny, and much more! Lovely crew, I can strongly recommend the flight in Sliac. Ready for your affordable Slovak Fighter Jet Adventure? Complete the booking form and you will hear from us shortly! The best gift for the best person in this World? Flying in a real fighter jet in Sliac, Slovakia!